If an individual shows signs of neglect, including weight loss, poor hygiene, or decreased mental health and well-being, it is important to report it to organizations that can help. Connecting neglected children, adults, or elderly people with resources that can step in to ensure their physical and mental health is being given proper care is often a good first step to stopping neglect. People who have experienced neglect in the past may have developed mental health issues due to the trauma brought on by being neglected. Talking with a licensed mental health professional can be an important part of helping victims of neglect work through that trauma and improve their quality of life. In the United States, there are several organizations that provide support to those who have experienced neglect. Government entities, social service agencies, and mental health professionals across the country offer countless supportive services for people in need. Group therapy: Research has shown that group therapy is effective at treating youth who have been neglected and abused. In group therapy, people who have experienced neglect can talk to others who have been through similar circumstances; this process can help normalize and destigmatize the feelings of shame or helplessness they might experience. Trauma-informed care: Trauma-informed care is often used to work with children or elders who have been neglected. It typically requires that the person providing the care has a developed understanding of the type of trauma experienced. Safety, respect, allowing the victim of neglect to control the process, and focusing on the victim’s strengths are also key in trauma-informed care for neglect. Structural family therapy: When neglect stems from dysfunctional family dynamics, addressing the issue through structural family therapy has been found to be an effective approach. This treatment style seeks to address the needs of each family member and the family as a whole and helps the family identify new strategies that will help them cope more effectively and meet the needs of each family member. 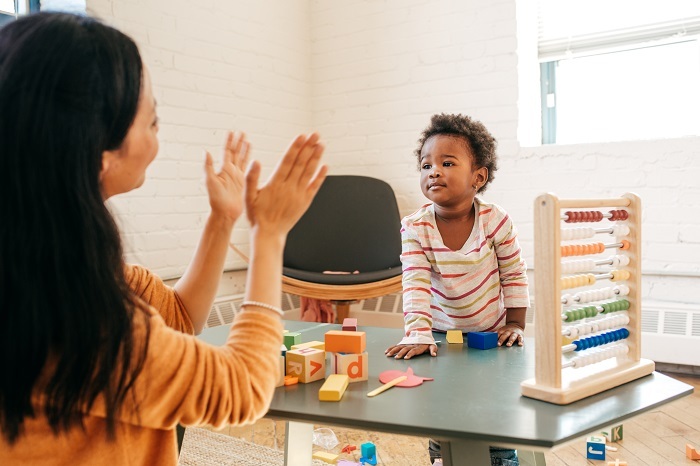 Parent-child interaction therapy (PCIT): PCIT has been shown to decrease behavior issues in children, stress of parents, and the risk of continued neglect or abuse in situations where child maltreatment, including neglect, have occurred. The approach targets specific parent-child interaction patterns to correct harmful caretaker behaviors. Art therapy: Art therapy may prove particularly helpful to young children who experienced child neglect. Where neglect and its accompanying trauma may impact child development, art therapy can help foster brain development by engaging the right brain and allowing children to express themselves non-verbally. No matter which method of support is chosen, therapy should be delivered by trained professionals who focus on improving attachment, consistent and nurturing caregiving, clear boundaries, safe and secure relationships, and healthy development. For those uncertain where to turn, immediate help is available. Child Protective Services and Adult Protective Services are often the first line of defense for responding to, managing, and preventing neglect in the United States. Both have access to resources that can positively impact the lives of both victims and perpetrators of neglect. Social service agencies, especially those who offer foster care and adoption services, are well-equipped to provide children with secure living environments and responsive caregivers. Social service agencies can also provide support to birth parents and caregivers who need help improving their parenting skills. Mental health professionals are also vital in helping victims and their families work on building and repairing relationships, learning specialized parenting techniques, increasing resilience, and addressing mental health concerns. Neglect in children of parents with mental health issues: Kento, 10, is the son of a single mother with severe depression. As a result of her depression, Kento's mother often sleeps during the day and is not always able to make sure he is fed or that he gets to school on time. Kento becomes withdrawn, as he often ends up staying home by himself for long periods of time while his mother sleeps in her room, and his grades suffer due to his absences from school. When his aunt notices how many days of school he has missed, she makes an arrangement with his mother so that he can live with his aunt while his mother receives the care she needs for her depression. Since then, Kento has been able to go to school and eat regular meals. His grades start improving. However, due to the neglect Kento received from his mother, he finds it difficult to socialize with his peers and begins dealing with mental health issues of his own. His aunt connects him with a therapist who helps him work through the effects of neglect. Elder neglect after death of spouse: Edna, 87, has recently experienced the death of her husband. Now without the support she had lived with for so long, she finds it increasingly difficult to practice daily self-care as she grieves. Edna becomes fixated on anxious thoughts and forgets to cook and clean for herself regularly; she also begins leaving her house less and less frequently. Her children do not visit her often or check to make sure she is taking care of herself, so it is months until she finds help. Eventually, a neighbor notices that Edna has lost a significant amount of weight, and helps her locate the resources she needs to improve her health and situation.